The important thing is to find the best one for you. When deciding which is the best Sandals Resort for you start with what is most imprortant and drill down. Are you lookng for the Best Sandals Resort Beach? Maybe you are looking for the Best Pools & Swim-Up Bars at Sandals Resorts. If you are looking for the Best Butler Suites at Sandals check out the new Over the water suites at Sandals Royal Caribbean, Sandals Grande St Lucian and soon to come at Sandals South Coast. 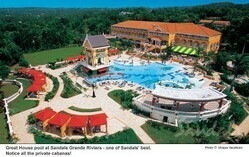 Maybe you want the Sandals Resort with best swim up rooms or millionare suites. If it is the best oceantfront rooms there are many choices. 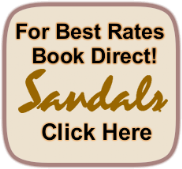 If you are looking for the best Sandals on a particular island, the best Sandals Resort in Barbados, Grenada, and Antigua is easy, as there is only one. If looking for the best Sandals Resort in Jamaica you have seven to choose from. You have a choice of three when looking for the best Sandals Resort in St Lucia. There are two Sandalsl Resorts in the Bahamas, although on different islands.